When shopping for a new coffee maker or any other appliance, you want the best value for your money. 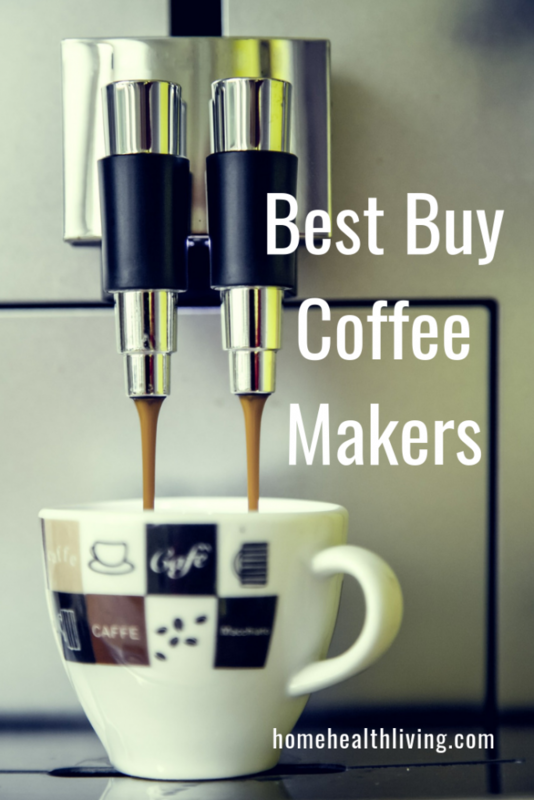 We’ve researched and reviewed the best buy coffee makers on the market, so that you can get more bang for your buck. Inexpensive doesn’t always mean best value. Sometimes you have to invest the money to get the best quality- and if you’re going to use your coffee maker for years to come, then the investment pays itself off. In our review, we’ve chosen the best buy coffee makers at different budget levels. 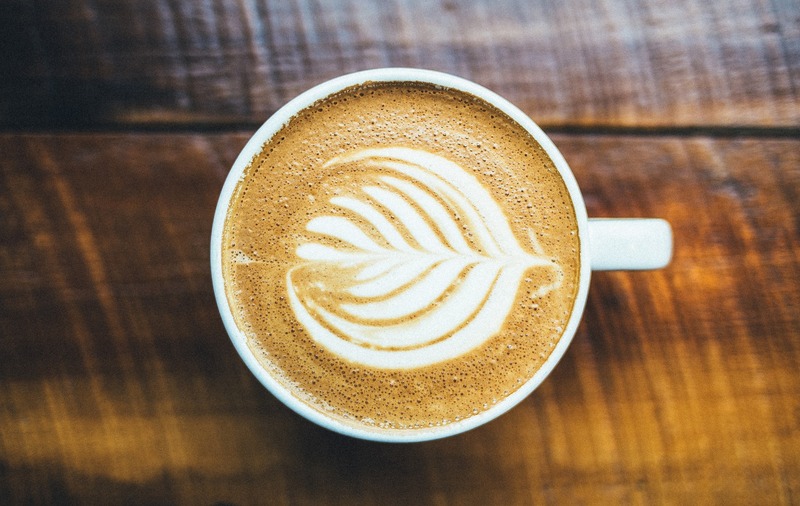 We don’t believe you need to spend hundreds of dollars to get an excellent coffee maker, but the more money you spend, the better the machine. If your budget is under $200, you can’t choose better than the Cuisinart DCC-3200 coffee maker. We’ve chosen it as one of the best buy coffee makers on the market at the moment, and you can often buy one at a sale price. 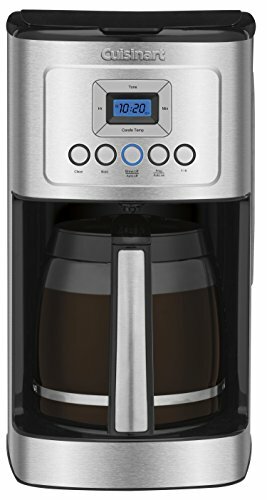 This is a great coffee maker that comes with a 14-cup glass carafe. You can brew 1-4 cups at a minimum or up to 14 cups which is great for when you’re entertaining or if you’re using the coffee maker at work. You can choose what coffee strength you prefer, which is great for when people have different coffee preferences in your household. The Cuisinart is a compact machine that fits nicely on your countertop. It has a control panel and allows you to fully program the coffee maker. You can choose up to 24 hours programming so you wake up in the morning to freshly brewed coffee. The coffee maker is self-cleaning and has an auto shut off feature so that you don’t need to remember to shut it down after you’ve used it. 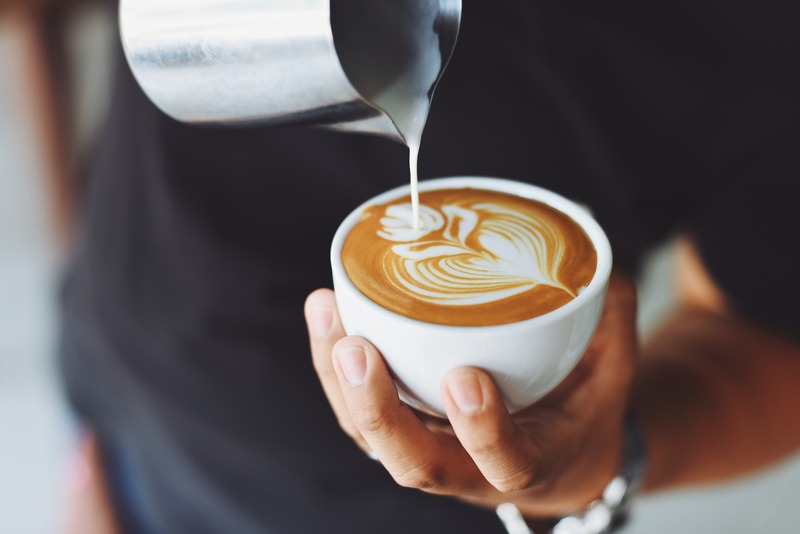 We love the “brew pause” feature which allows you to pause the brewing process to pour yourself a cup of coffee so that you don’t need to wait for the coffee maker to finish brewing all the cups you have programmed. The filter is a gold tone filter which is excellent quality. The coffee maker comes with a limited 3-year warranty. The Ninja coffee maker is another of our best buy coffee makers. It’s versatile and perfect for when you need a coffee maker for different sizes of coffee: whether travel size, a cup, half a carafe or a full carafe. You can choose between four different brew types: classic, rich, over ice or specialty. The Over Ice Brew function increases the coffee strength. When you make iced coffee, the ice in your cup melts and makes the coffee taste watery. By strengthening the coffee, this compensates for the additional water, so you’re left with coffee that tastes like coffee and not water! The Auto-iQ One Touch technology means the coffee maker draws the right amount of water depending on the coffee size and type you’ve selected. This helps make the perfect tasting coffee, just the way you like it. The glass carafe holds 43 ounces and there’s also a cup warming plate so that your cup stays warm. After 2 hours of no use, the machine shuts off automatically. 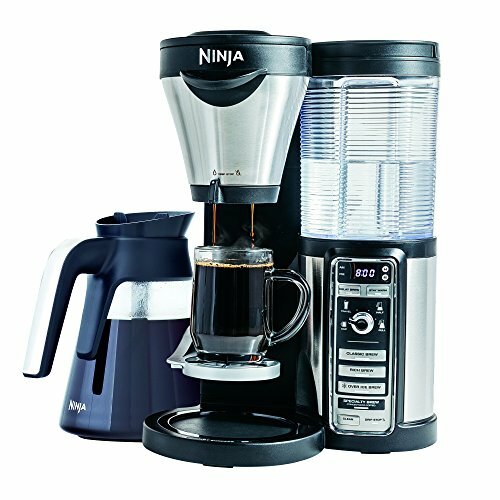 We’ve also picked the Ninja Coffee Maker as one of the best buy coffee makers, because it comes with additional accessories. Included in the pack is a hot and cold tumbler, Ninja easy milk frother, permanent filter, Ninja coffee scoop, glass carafe with warming plate and a 100 recipe cookbook. How often will you use the coffee maker? If you make multiple cups of coffee per day, or you entertain at home a lot, then investing in a decent coffee maker is a wise choice. You want something that will last you a long time, and you want a machine that can handle being used a lot. If you only make coffee when you have guests, or not very often, then there’s no point in spending hundreds of dollars on a coffee maker. You can get a decent coffee maker for much less. How much do you want to spend on your coffee maker? Generally speaking, the high end coffee makers are usually over $500. These are the machines that let you do absolutely everything possible to make the best coffee. If you’re happy with an automatic coffee maker, you can find a good one for around $200-$300. There are lots of relatively well-priced pod coffee machines on the market. If you’re wanting something small and basic, then you’re looking at a price below $200. When is the best time to buy a coffee maker? Buying the best value coffee machine is important to you. You want to wait for sales before making a purchase. You want a special deal when buying your machine. 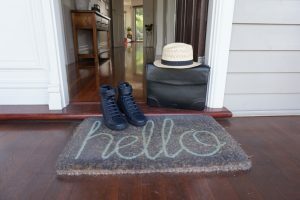 While most sales occur around Black Friday, you don’t want to wait months to make your purchase. Fortunately, when you’re buying from sites like Amazon, sales can happen any time of the year. You might also get special coupons and deals if you’re an Amazon Prime member. Cheaper doesn’t always mean better- sometimes it’s better to pay more money for a better quality coffee maker. Do your research, check the prices regularly until you’re confident that you’ve found the best buy coffee makers.